Research Roundup: A link between food and breast cancer found, the role of the small intestine in processing sugars and more! Accelerated wound healing for mammals. Large and chronic wounds are a major cost burden to the United States healthcare system and are currently rising due to increasing numbers of elderly individuals and health risks such as obesity and diabetes. Wound care today is mostly limited to using different dressings and significant amounts of antibiotics for preventing or treating wound infections. One potential solution to chronic wounding, would be to accelerate the process of healing. This week, researchers at Uppsala University report how they have developed and tested new technology using lactic acid bacteria. The bacteria produces human chemokines at the site of wounding, which recruit more immune cells than normal; thus accelerating the wound healing process. This novel technology was tested in mice, and will now be tested in pigs for further understanding its application to humans. Published in PNAS. Asthma drug slows development and progression of abdominal aortic aneurysms in mice. Researchers at the Karolinska Institutet in Sweden delivered clinically relevant doses of montelukast, a drug commonly used to treat asthma, to mice both before and during chemically-induced abdominal aortic aneurysms (AAA) to investigate whether it is protective. When given prior to aneurysm induction, montelukast protected against development. It also slowed progression of aortic dilation when administered after aneurysm onset. These findings are especially important given that AAAs develop relatively unnoticed, and without treatment, can rupture resulting in death. This research lays the groundwork for further studies in humans and was published in PNAS. A common amino acid can be suppressed to stop breast cancer spread in mice. A team of researchers from Britain, the United States, and Canada studied mice with an aggressive form of breast cancer. In the study they suppressed asparagine, an amino acid naturally occurring in the body and present in high amounts in certain foods, both through administering an enzyme that breaks down asparagine and through limiting the amino acid in the diet. The results in both cases showed that decreased amounts of the amino acid hindered the spread of cancer to other parts of the body. Professor Greg Hannon, a lead scientist on the study said “This is a very promising lead and one of the very few instances where there is a scientific rationale for a dietary modification influencing cancer.” Other researchers caution that since asparagine is so prevalent in many foods, drug therapy that breaks down or suppresses the amino acid may be more effective than dietary changes. Published in Nature. Fruit sugars primarily processed in small intestine not the liver. Evidence from human studies has shown that excessive sugar ingestion, such as in sugary drinks and processed food, can be harmful in the long term — leading to obesity, insulin-resistance and damage to the liver. It has also been assumed that these sugars are primarily processed by the liver. 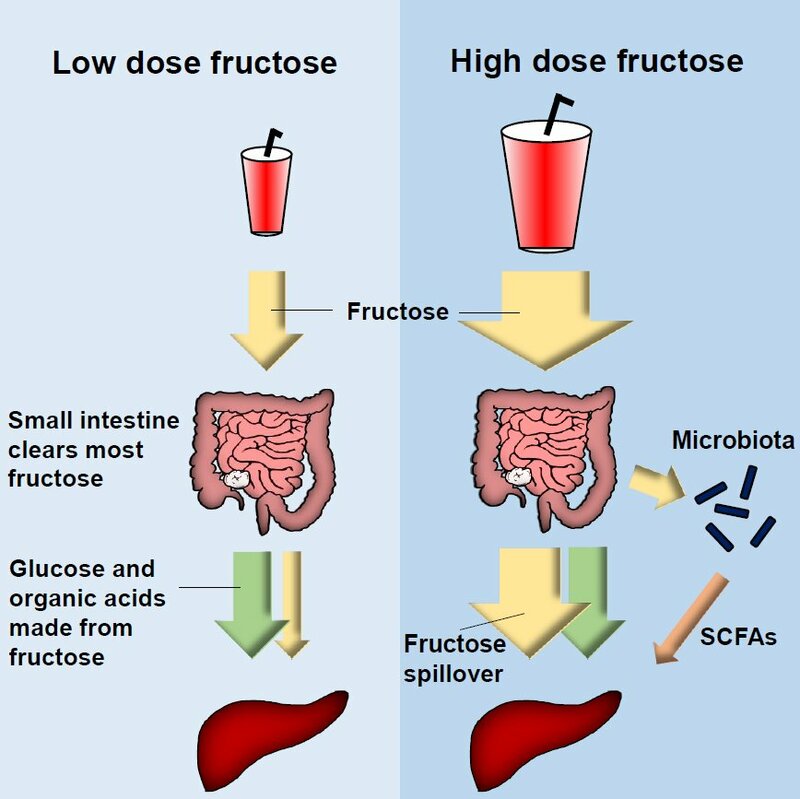 Researchers at Princeton University have instead found in mice that fructose, one of our primarily consumed sugars, are mainly processed in the small intestine. When consumed in excess, the small intestine cannot keep up and processing instead spills over to the liver. Excessive consumption of sugars, and the spillover processing to the liver can contribute to disease of the liver. Additionally, they found that the ability to process sugars by the small intestine is higher after a meal. Rabinowitz, the lead author on this study encourages “the most old-fashioned advice in the world for humans. Limit sweets to moderate quantities after meals, and do not have sweet drinks away from meal time.” Published in Cell Metabolism. Neuroscientists identify “anxiety cells” in the brains of mice. A team of researchers studied the brains of mice to determine what areas are activated when they are anxious. 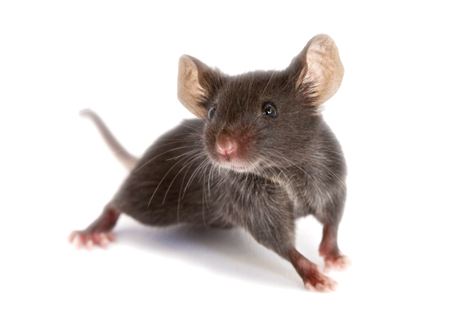 They did this by measuring brain activity when mice are led into open areas, an activity that mice try to avoid. They found that certain cells in the area of the brain responsible for learning and memory were active when the animals entered the open space. The researchers then suppressed these cells to determine if it would change the behavior of the mice and it did. When these cells were “dialed down” the mice tended to explore open spaces which previously caused anxiety. Scientists recognize that this is just one part of a complex circuit. Joshua Gordon, director of the National Institute of Mental Health, states, “You can think of this paper as one brick in a big wall.” He hopes that one day enough will be learned so it can be applied to improve the quality of life for the 1 in 5 adults in the U.S. affected with anxiety disorders. Published in Neuron. Posted on February 9, 2018 by EditorPosted in News, Research RoundupTagged abdominal aortic aneurysms, anxiety, asparagine, breast cancer, diabetes, fructose, lactic acid bacteria, sugar, wound, wound healing. Next Next post: Research Roundup: Considering the bleak future of animal research without primates, heroin vaccine brought one step closer to availability and more!